Rajinikanth has done a daring stunt sequence in Enthiran, which was choreographed by stunt director Peter Heins. This fight scene has been shot in Lonavala near Mumbai. Rajini took part in the powerful fight scene that was shot on a train. The exotic location in which the train fight was shot will add attraction to the film. 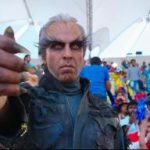 Enthiran’s lead lady, Aishwarya Rai Bachchan was also present during the shoots. 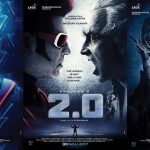 The film, it must be mentioned here, is directed by Shankar and produced by Sun Pictures. Paddatha mudiangapa..Nov’09 & then onwards fight scenes were on & on …when he will complete the balance two songs when he will complete the editing/graphics/etc etc..I DOUBT THIS will come this April’10..
Secondly there were mentions some chinese fighter is choreographing the sequence no news abt him or that US studio’s ?? Paddatha mudiangapa..Nov’09 shooting was over as per this website & then onwards fight scenes were on & on …when he will complete the balance two songs when he will complete the editing/graphics/etc etc..I DOUBT THIS will come this April’10.. 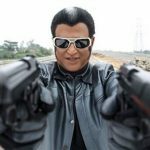 Ya Enthiran will take atleast 6 months to complete all the post-production works. Mark my word atleast. 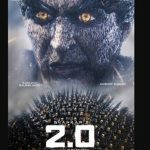 I hope this movie will be released in late 2010.
wow….Ya It’s a gigantic film.Particularly Rajni kanth has performed a wonderful fight in train sequence shot that I saw in Trailer.